I couldn’t do too much with this old picture…it’s been roughly handled. But I did also want to preserve the stamp at the bottom “Williams Novelty Co., Dorchester VA.”. Mr. 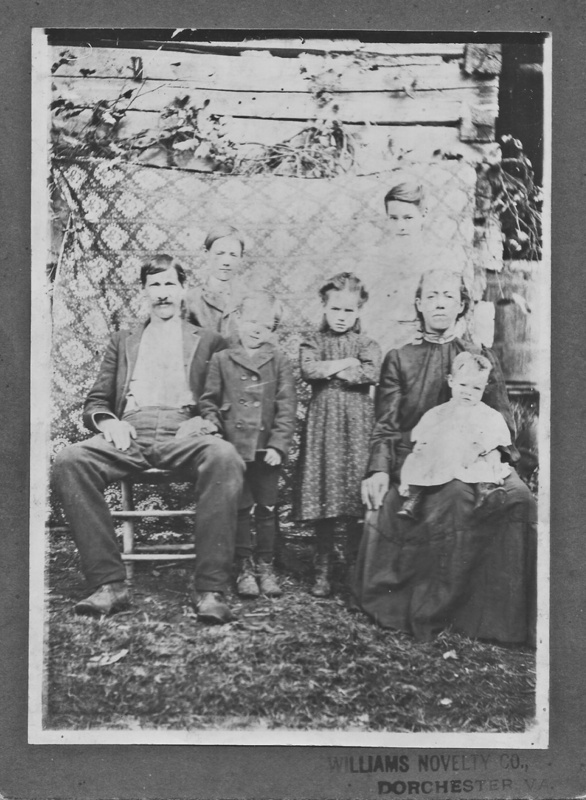 Wide Sitter and his wife must have had a quite close marriage…five kids. The little girl next to her mother later moved on to destroy all the enemies of Democracy in one fell swoop. The body of the oldest (probably) child in the back is unrecoverable…that area’s been abraded. Great family picture, though. Dorchester was likely in its prime then…I’m guessing 1940s. Posted in Existing photo processed by Bob Lawrence and tagged Dorchester VA, Williams Novelty Co.. Bookmark the permalink. the one gal, in the upper right. looks to ba a ghost, Bob!